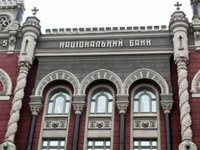 The Council of the National Bank of Ukraine (NBU) has recommended to the Cabinet of Ministers of Ukraine to urgently step up work on improving the quality of the forecasts for the movement of funds on the single treasury account in order not to allow the unbalancing of the monetary and credit market at the end of 2018 and early 2019, as well as to prevent the increase in the devaluation pressure on the hryvnia. According to a posting on the website of the central bank, the list of recommendations was approved by the NBU Council at a meeting on October 30, 2018. The NBU Council also recommends that the government, when planning the national budget deficit, proceed from the need to bring in the medium term the ratio of public and publicly guaranteed debt to GDP to the level specified in Article 18 of the Budget Code of Ukraine (not more than 60% of GDP), and in the future to support the pace of its decline. In addition, in order to reduce the vulnerability of public finances to currency risks and increase their sustainability in the medium term, the NBU Council considers it important to pursue a policy of gradual replacement of public debt in foreign currency with hryvnia borrowings (as far as debt obligations denominated in foreign currency are repaid). The NBU Council also drew attention to the need to develop the government domestic loan bond market and recommends taking steps to gradually lengthen the circulation of new government bonds, as inflation decreases to the target medium-term range, to simplify the access of investors, including individuals, to the government bonds and also develop a program for the implementation of issues of targeted government bonds, the proceeds from the issue of which will be used to support projects for the development and modernization of the Ukrainian economy, to promote exports and import substitution.